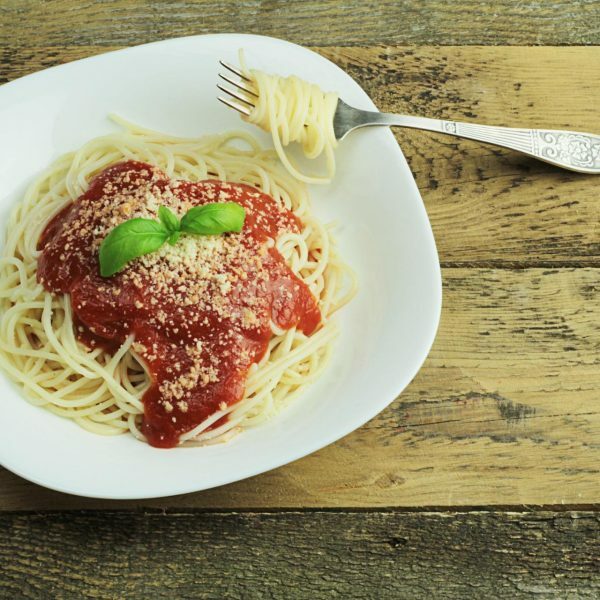 If you take part in endurance related activities like cycling, swimming, cross-country skiing or marathon running, you will probably have heard of the term carb-loading (also known as carbo-loading or supercompensation). The more experienced amongst you likely already have your pre-race meals planned out to a tee and longingly anticipate your carb-loading stage as your grueling training program’s climactic reward. There are, however, a large number of endurance competitors who are falling short at the last hurdle by skipping out on this important element to their training program. It’s not altogether surprising though in today’s carb-phobic culture. Let’s take a look at when and why this dietary strategy should be used to enhance your athletic performance. For most recreational activity your body uses stored energy for fuel, but when you participate in intense exercise for an extended period of time, your body needs more energy to keep it going. Carbohydrate-loading is therefore typically used to enhance your performance during endurance events. These are events exceeding 90 minutes in duration and involving aerobic exercise at moderate intensities. Carbohydrates are your body’s preferred energy source. They are most readily broken down by the body into sugar and stored in your liver and muscles as glycogen. Your muscles store enough glycogen to sustain recreational activity for short duration. If you exercise intensely for 90 minutes or longer, the glycogen stores in your skeletal muscle become depleted causing fatigue to set in and your performance to suffer. Carb-loading, if done properly, allows you to maximize the energy stores in your muscles so that your energy expenditure and performance, are steadily maintained for the duration of your event. False. Whilst, according to the scale, you will gain weight during your carb-loading phase, this weight gain is attributed to water weight from the extra glycogen stores – for every gram of glycogen stored your body stores three grams of water. The additional water weight may leave you feeling a little bloated and uncomfortable but it’s only temporary and should help you stay well hydrated during your race. False. Although you will be eating more carbohydrates than usual and may feel full, you should still aim to consume the majority of your carbohydrates in whole food form. A little junk food is fine but non-processed complex and simple carbohydrates such as quinoa, rice, vegetables and fruits, are your best options in terms of ensuring optimum recovery and keeping inflammation in the body to a minimum. Stay clear of high fiber legumes 24 hours prior to the race to avoid any stomach issues! False. During carb-loading your carbohydrate consumption is increased but your overall calorie intake should stay relatively the same. This will help avoid weight gain in the form of fat during this phase. Typically 3-4 days before the race is when you should start increasing your carbs. You’ll want to reduce your fats so that your calorie intake stays level. Remember that 1g of carbohydrates equates to 4 calories whilst 1g of fat equates to 9 calories. Depending on your sporting event, an increase in carbohydrates of somewhere between 5-12g per kilogram of bodyweight is recommended. Contact a nutritionist or trainer to ensure your carbohydrate requirements are being met. False. A lot of racing events typically host a pasta party the night prior to the event giving participants the green flag to load up on food the night before. Whilst this might be OK for some, the majority of us will not be accustomed to handling a substantial increase in carbohydrates in one sitting or even over the course of one day prior. This can lead to uncomfortable digestive issues. Not a gamble I’d be willing to take after a dedicated 18 weeks of training! In addition to carb-loading, endurance athletes should ingest carbohydrates during their event to delay the onset of fatigue, sustain blood sugar levels and maintain the high rate of carbohydrate metabolization to sustain performance. Make sure you test out any carb-loading strategies and supplementation of carbohydrates during your training, as dietary changes often require some period of trial and error. If you enjoyed this post you might also be interested in The 10 Commandments of Sports Nutrition. Fetters A, 5 Must-Know Myths about Carb-Loading, My Fitness Pal; September 27, 2016. Basics of Carb-Loading for Sports Performance. Academy of Nutrition & Dietetics. August 31, 2015. Carbohydrate-loading Diet, Mayo Clinic; September 17, 2015.